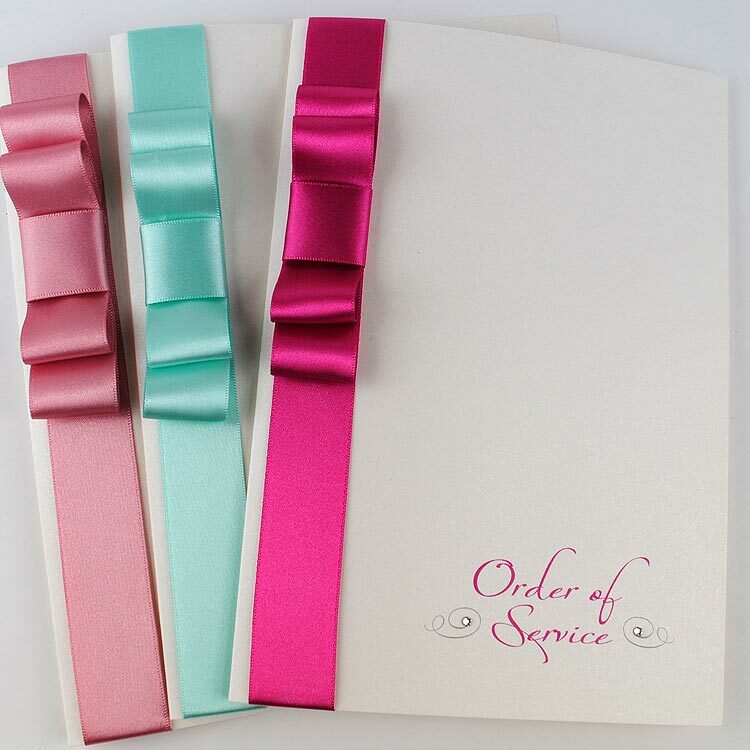 Order of Service booklets are handed out to your guests by the ushers before the ceremony and list the various stages of the service. 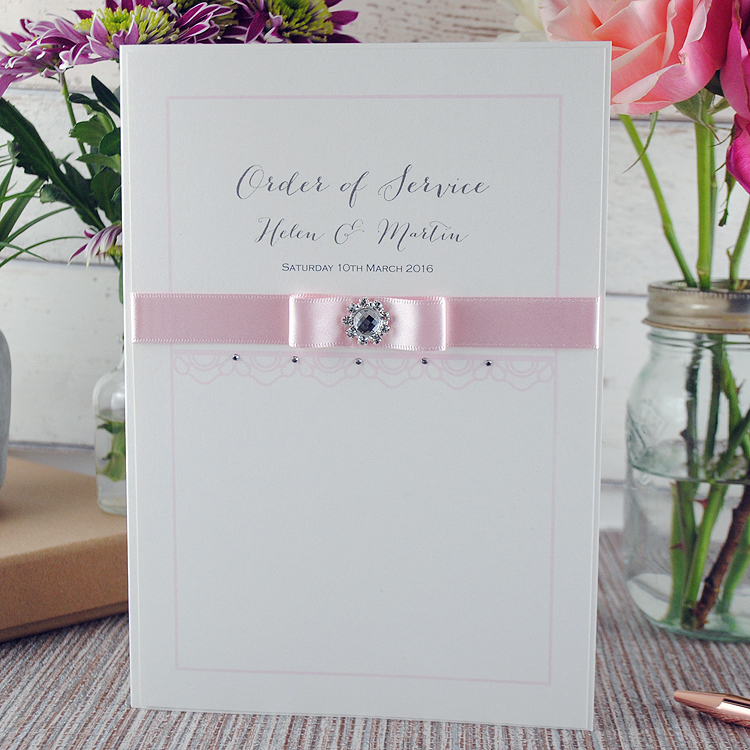 Order of Service will differ greatly depending on whether you’re having a civil or religious ceremony. 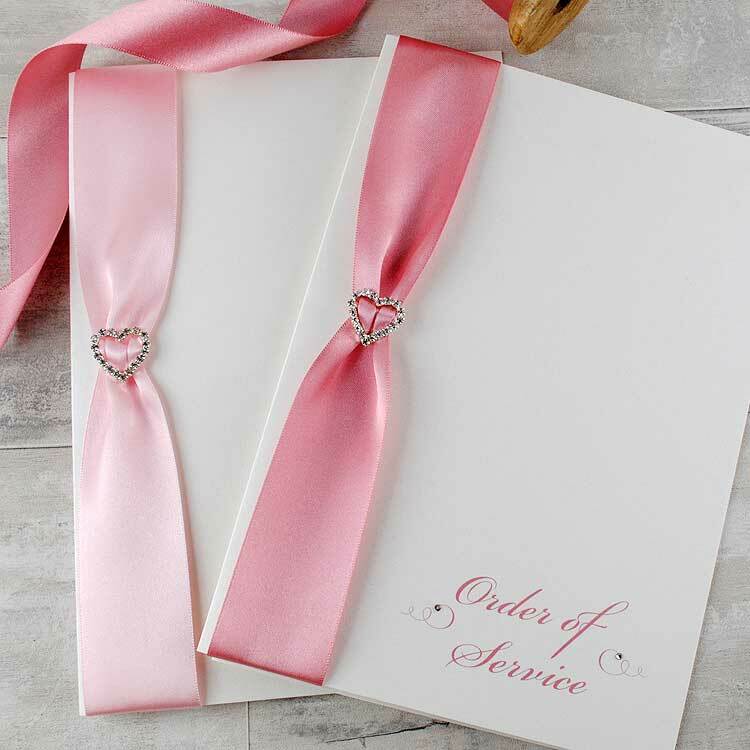 You officiant or minister will be able to guide you with exactly what to include. 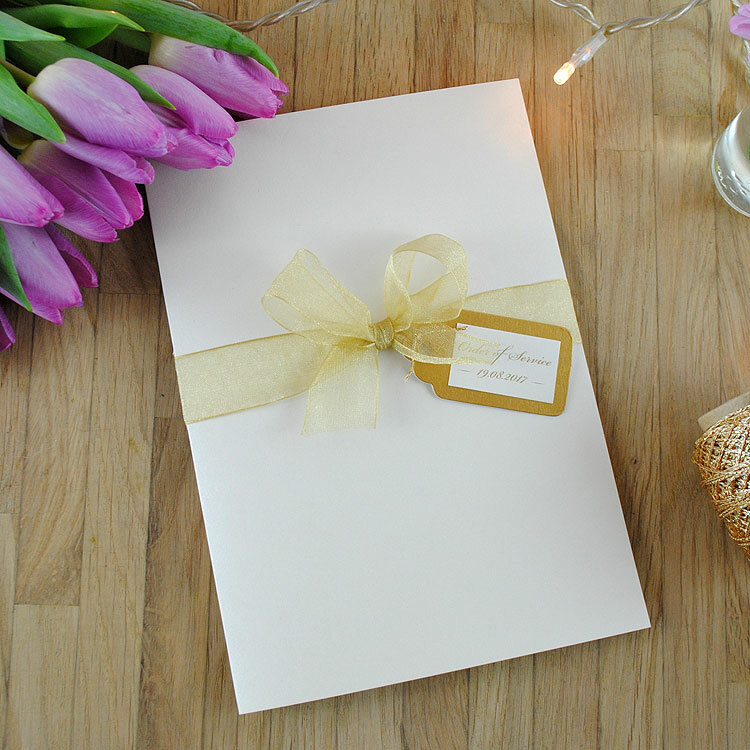 You can add additional information to your Order of Service booklet to make it more personal to you – the names and titles of your bridal party, a little note thanking your guests & parents, a special quote or an ‘in loving memory’ tribute. 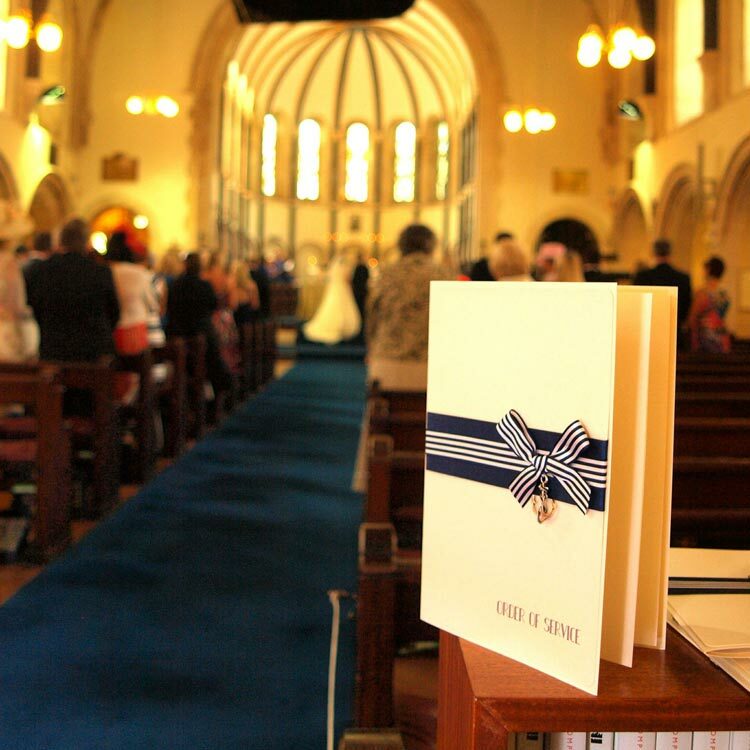 We recommend ordering one order of service per couple including yourself and your partner (unless you know the hymns by heart). Make sure you have one each for single guests, one for the minister and one for the organist. 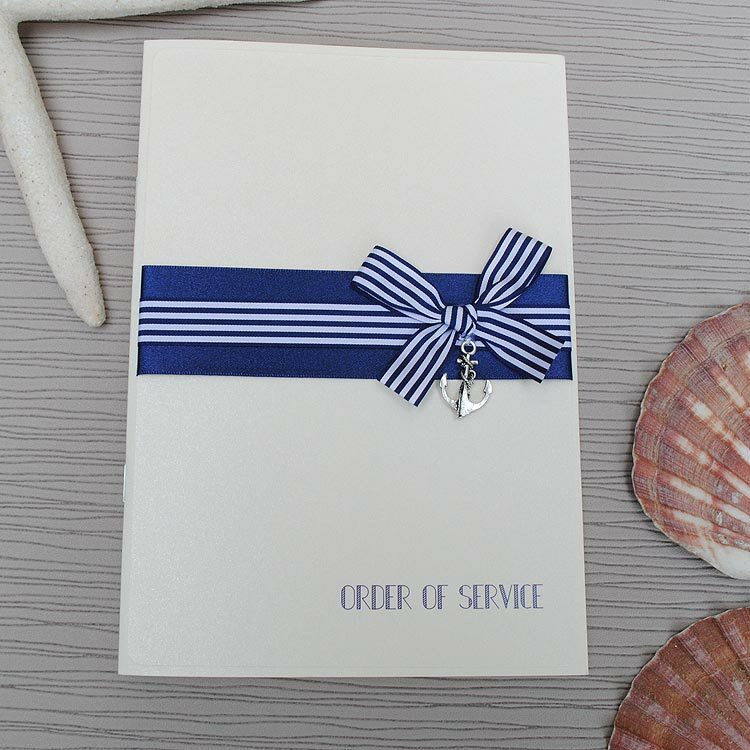 Our handmade order of service booklets are A5 size supplied with 4 printed pages (additional pages can be added in sets of 4). 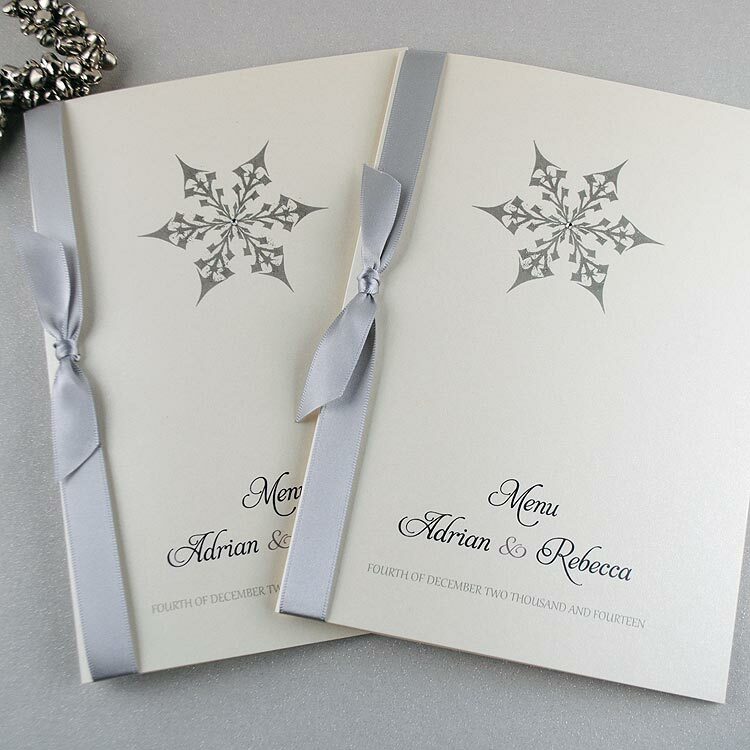 Printed on fine quality fabric embossed card and matching pearlescent paper. 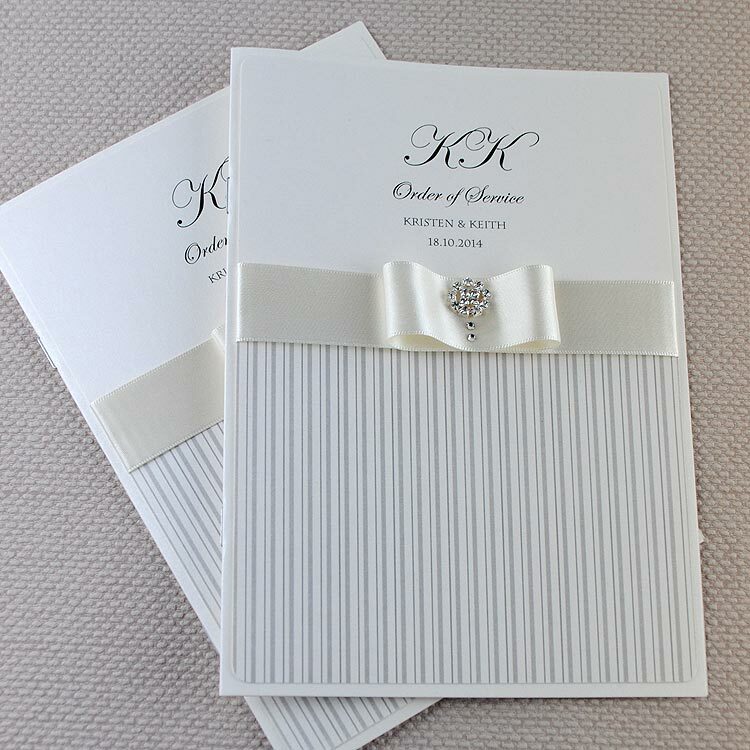 We have order of service booklets to match all of our invitations designs so they are the perfect way to carry your wedding theme and colour scheme through your ceremony & big day. 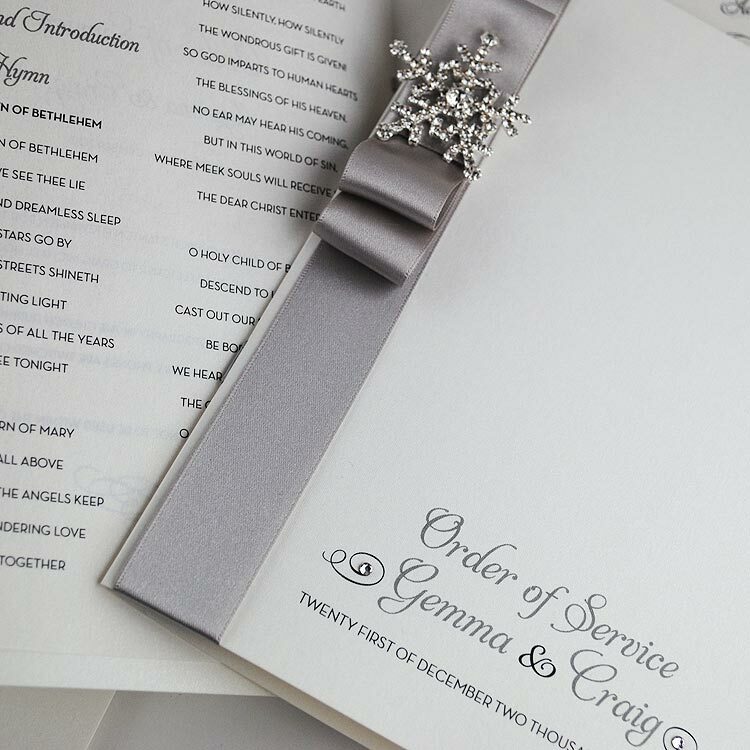 Call us today on +44 (0)7886116950 to discuss your requirements or complete our contact form with your details to order your personalised order of service booklets.